In Previous article, i have explained step by step approach to configure Git for Salesforce using Eclipse and Egit plugin. However, i have explained the “https” method to connect Git directly. There are several repositories which does not support the “https” protocol and prefer “SSH” (Secure Shell) protocol. We will need to generate the private key (RSA) which will be unique and locked with the help of secret passphrase. 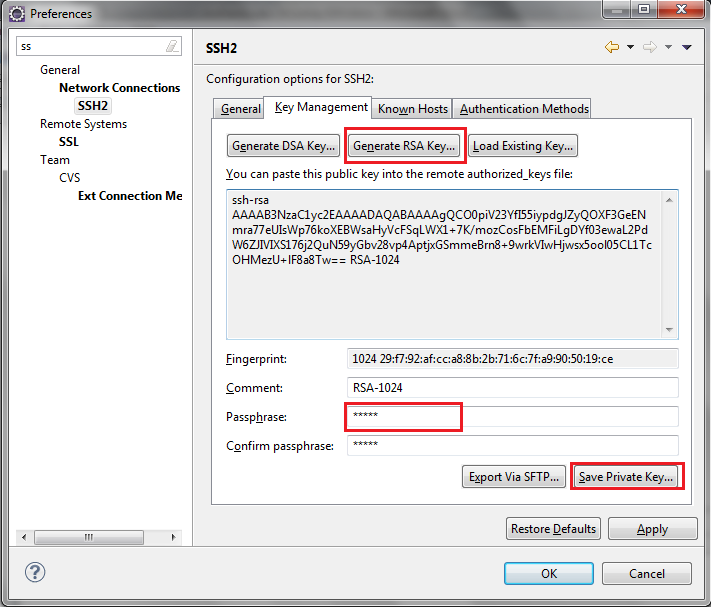 In Eclipse, Navigate to “Windows | Preferences | General | Network Connections | SSH2″. Click on button “Generate RSA Key” and after that provide secret Passphrase (dont forget this passphrase), now save the “private key”, if possible in “.ssh” folder which is located at “C:UsersUseName.ssh”. For SSH login, let’s take example of “Unfuddle”, where we need to connect to Git using SSH protocol. In Unfuddle, navigate to “Personal Setting” and at the bottom of page you will find option to add “public Keys”. Copy the key generated in above screen and paste it in Unfuddle personal Setting. Follow all steps of setting up Git as per previous article. The only change we need to configure is while setting up Push or fetch URLs. As you can see in above image, we have used the protocol “SSH” instead of “https” as compared to our last article. 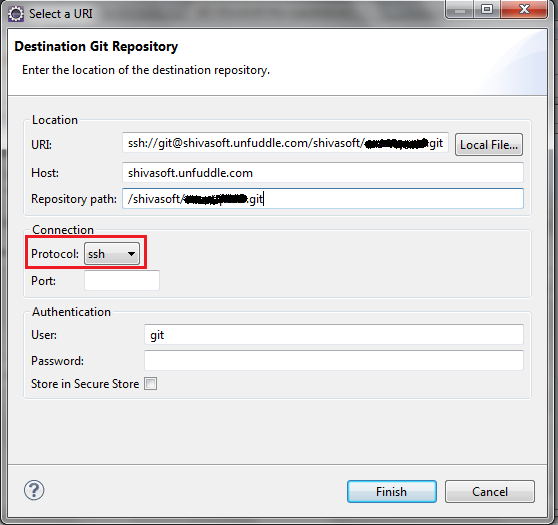 I hope, it will help many users to set up Git for Salesforce using eclipse in case they need “SSH” authentication.